Oftentimes, it’s the technology that businesses adopt internally that brings about changes in company processes, communication, job responsibilities, and the overall business model. What happens though when the technology used outside of the workplace begins to dictate what happens within it? According to Pew Research, 68% of U.S. adults currently own a smartphone and 45% own a tablet. 47% of U.S. adults today only own one type of phone: a cell phone. By 2020, Cisco estimates that 5.4 billion people worldwide will have a mobile device. This will equate to 366.8 exabytes of mobile data traffic. The growing adoption of the mobile device—both for personal reasons as well as professional—is not a new development. It is the way in which people use these devices that has led to a change in the way businesses operate. For instance, BYOD, increasing remote workforces, mobile device policy requirements, and newly accepted modes of communication have become commonplace in business (as opposed to say ten or even five years ago). Facebook currently has nearly 1.5 billion active users every month. 655 million of their users strictly access Facebook through a mobile device. In February of this year, they launched Facebook Instant Articles to a select group of publishers to test out on their mobile device-using audience. As of April 12, Instant Articles are now available to everyone. 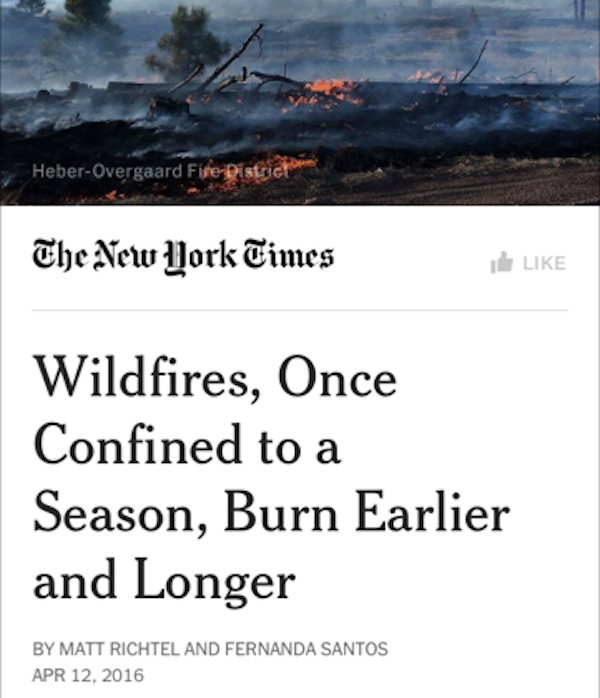 Haven’t heard of Facebook Instant Articles yet? If you’re producing massive amounts of content and want to find a better way to reach your audience through social, keep reading. Last summer, Parse.ly reported that Facebook had become the top referrer of traffic to news websites (in doing so, they surpassed Google). That announcement had people speculating what would come next. Being the forward-thinking organization that they are–and keeping their users’ experience top-of-mind–it’s no surprise Facebook would develop a solution that would further enhance the reading experience for mobile device users. That is where Facebook Instant Articles come in. This is what a regular article looks like when viewed on a mobile device. This is what it looks like when you click on said article and wait for it to load in your mobile web browser. Here is what that article looks like once it is fully loaded. Now, as mentioned previously, there were a number of publishers granted access to Facebook Instant Articles during the test phase earlier this year. The New York Times was one such publisher. This is how their article showed up in the mobile news feed. 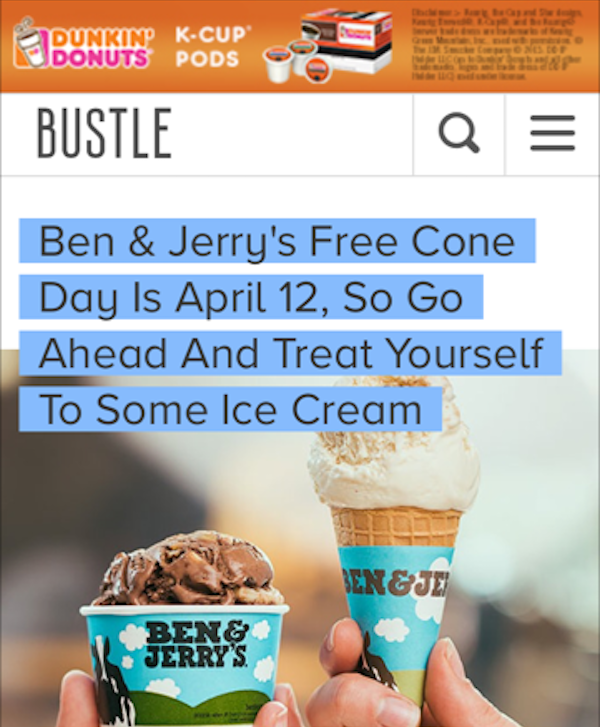 It looks just like the mobile web article from Bustle above, right? Here is how it instantly showed up when the link was clicked. 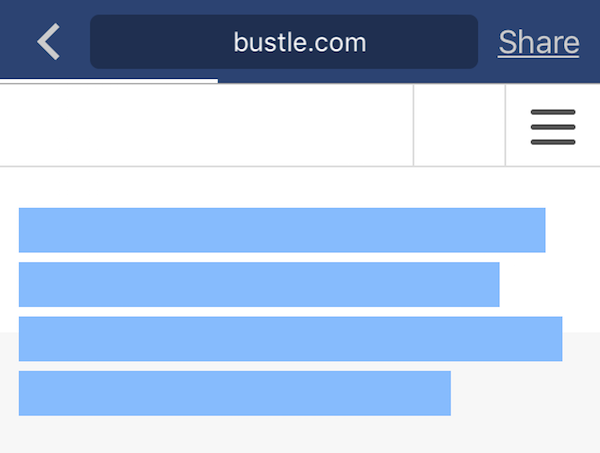 Note the visual differences between the web browser version of the Bustle article and this Instant Article from the New York Times. Content opens directly inside the mobile app. There is practically no wait with a load time of about 300 milliseconds (as opposed to 3.66 seconds for standard mobile web articles). Content is optimized for viewing right within the platform for a totally immersive experience, with high-res imagery, interactive maps, auto-play videos, and embedded audio captions. And received 30% more shares. Facebook understands that their users want a convenient reading experience, regardless of which device they’re checking in from. They have created a way to not only deliver mobile-accessed articles as fast and as clear as the videos and images on the Facebook site, but they are also catering to an audience that wants easy, quick, and interactive access to content through social media. Facebook Instant Articles do not require you to publish anything additional on Facebook. They have built in the added convenience of syncing up their tool with your preferred content management system (CMS). Once your feed is set up, approved, and you are ready to go, articles published on your platform get automatically pushed to Facebook as are any updates you make to existing content, so there’s no need to change your workflow or duplicate your efforts in order to take advantage of this new tool. For the 25% of the population using WordPress, there is even better news. While publishers on other platforms have to work through setting up a system of RSS feeds or APIs in order to make Instant Articles work for them, Facebook has teamed up with Automattic—WordPress’ parent company—in order to create a free plugin that takes care of most of the work. More on that in a moment. Who Are Facebook Instant Articles For? Between February and April of this year, Instant Articles were being used by big news outlets like the New York Times, Buzzfeed, and National Geographic. As of April 12, however, this platform is now open to everyone, relatively speaking. While many of you may be excited about the prospect of sharing an optimized content experience with your readers, take note that this tool may not be for everyone. Facebook has already established a minimum requirement for publishers wanting to get started. You must have at least 50 articles already set up on your CMS and ready to go before signing up. With a growing Millennial audience and so many mobile-friendly users on Facebook, it makes sense that fast loading speeds and a highly immersive viewing experience is going over well with test audiences. If you meet the base article requirement, you publish news regularly, and you have a strong presence on Facebook now, Instant Articles is the tool you’ll need to take your marketing and promotional efforts to the next level. Why Switch to Facebook Instant Articles? No new technology or tools are ever going to come without an onboarding or adjustment period. No matter how easy Facebook makes it for publishers with a free WordPress plugin, there will be some work involved upfront. However, that doesn’t mean it’s not worth making the switch. When you spend a lot of time crafting content or news, it’s not for the sake of hearing yourself talk (or seeing yourself write). It’s for your audience. You want to give them something worth reading. And, by that same token, you should want to give them the best experience when reading your content—whether it’s because of a faster load time or a better visual experience, in general. Greater reach & engagement: According to Facebook, their algorithms have already begun to notice this difference between Instant Articles and standard mobile-viewed articles. More content consumed: The assumption is that by giving users a better reading experience that it’ll increase loyalty and brand awareness—ultimately, leading to users wanting to view more content from publishers who offer that experience. Increased revenue: If publishers want to sell ads within their articles, they have the opportunity to earn 100% of the ad revenue. If they decide to use the Facebook Audience Network instead (which is a way of monetizing content), publishers make 70% of the revenue cut while Facebook takes the rest. More marketing opportunities: Instant Articles aren’t just about near-instantaneous access to news. They’re also about the new and improved way to share your stories, complete with interactive and high-resolution visuals that speak really well to mobile users. Greater control over the user experience: The best part about Instant Articles for publishers is that they don’t have to lose creative control. Posts can be customized—from the overall look and layout of the content to the basic branding (like logo and brand colors). In addition, publishers have the ability to customize the buttons that appear within articles to give the overall piece a consistent look. 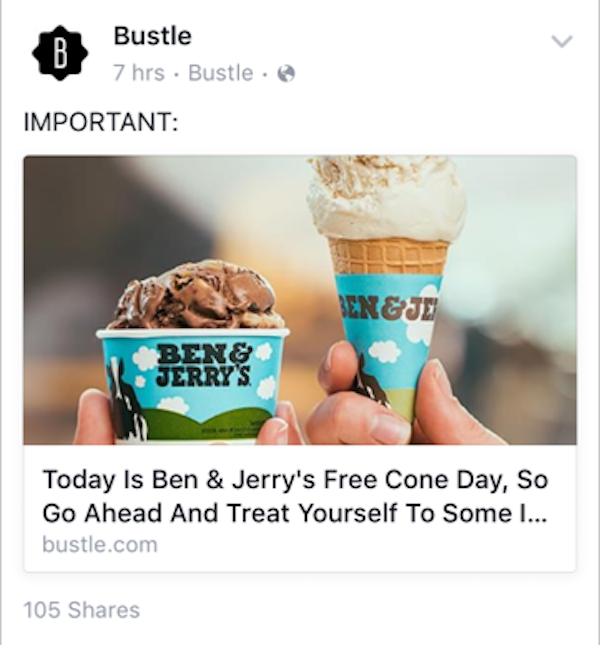 How to Get Started with Facebook Instant Articles? Check out Facebook’s Quickstart Guide. Make sure you have a Facebook page set up. Sign up for Instant Articles and connect it to your business page. Make sure you have a Facebook Business Manager account set up. This will allow you as a developer to assign team roles and give your team access to the tools they’ll need to manage their Instant Articles. 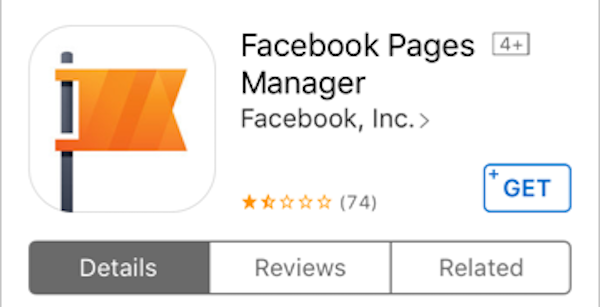 Download the Facebook Pages Manager App. This will assist you in testing your Instant Articles. Connect your new RSS feed to your Instant Articles settings manager in Facebook. Facebook will then need to review your feed and make sure everything is set up properly. Create your custom style templates so your content can be branded specifically to your business. Review the formatting guidelines for creating HTML5 compatible content. The plugin will do most of the work for you, though for more specialized customizations (like for maps), you’ll need to create some of your own coding. Get acquainted with the Instant Articles library under your Facebook Publishing Tools. You can manage your content directly from there or you can make updates from WordPress and your articles will update accordingly. If you want to include advertisements in your articles or want to set up analytics tracking, take care of this before submitting anything to Facebook. Review the submissions checklist from Facebook and then get started with loading your first batch of 50+ articles. Facebook will need to review before accepting your feed. Once accepted, make sure your Instant Articles are working. If you’re not on an iPhone or Android, you (and your users) will continue to be directed to the usual web browser link. However, if you do own one of those mobile devices, you should be able to start experiencing your content in all its glory right away! Once you’re setup, keep the content flowing! Your audience is waiting for you—on Facebook and on their mobile devices—so give them the experience they deserve and help build your brand’s credibility with Facebook Instant Articles. 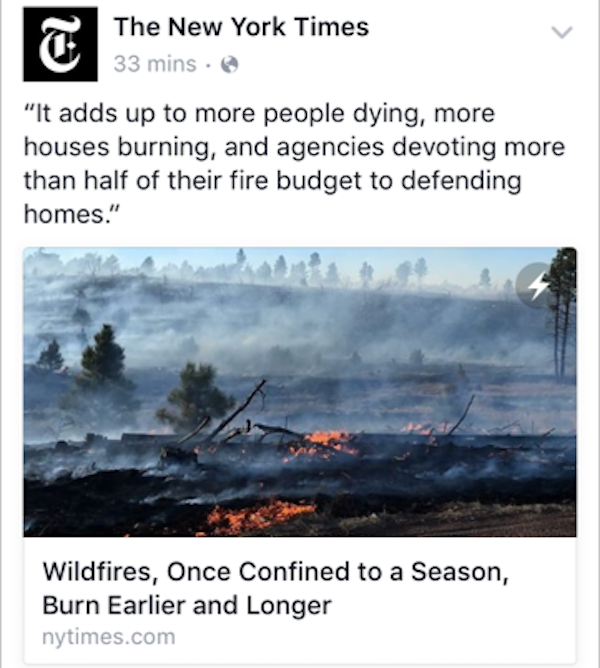 Have you begun using Facebook Instant Articles yet? What has your experience been like setting it up?